This 8-day itinerary is a fabulous introduction to the land of Jesus and the Bible. Experience the sites of Jesus’ life and ministry chronologically from Bethlehem to the Galilee to Jerusalem. You will spend 3-nights in Bethlehem plus 2-nights in Jerusalem and return home with a new understanding of Jesus’ land and ministry. Prices starting at $2298 from New York. Begin your touring in the Holy Land by visiting the Herodion, the fortified palace and final resting place of Herod the Great. In Bethlehem, gaze out over Shepherds' Field and visit the Church of the Nativity, where the cave revered as Jesus’ birthplace resides in the world’s oldest functioning church (Luke 2). Overnight in Bethlehem. Visit Kasr el Yehud, the traditional site of the baptism of Jesus by John the Baptist. Stop in Jericho, the oldest known inhabited city in the world. Visit the ruins of the ancient city, which was conquered by Joshua (Josh. 6: 1,2,20) and see parts of the ancient city walls which have been uncovered. From Jericho you can see the traditional site of the Temptation of Jesus (Matt.4: 1-11) and the Judean wilderness. Visit Qumran, site of the Dead Sea Scroll discovery, to discuss the mysterious community of Essenes who once lived on the shores of the Dead Sea. 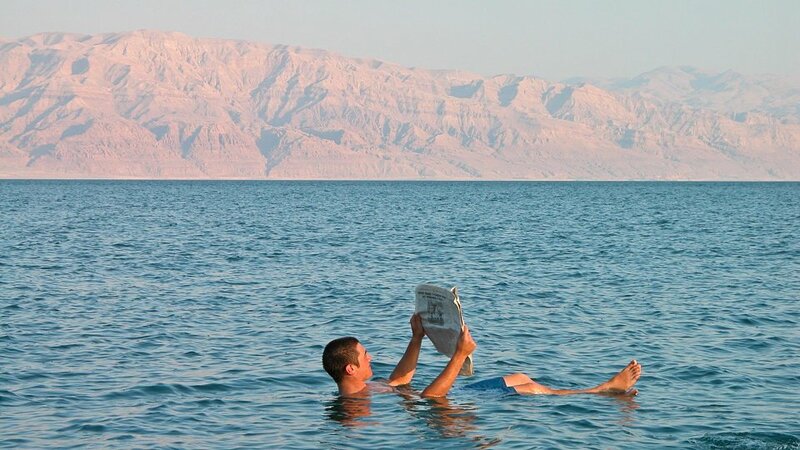 Stop briefly at the Shores of the Dead Sea for a quick dip in the salt and mineral laden waters. Overnight in Bethlehem. 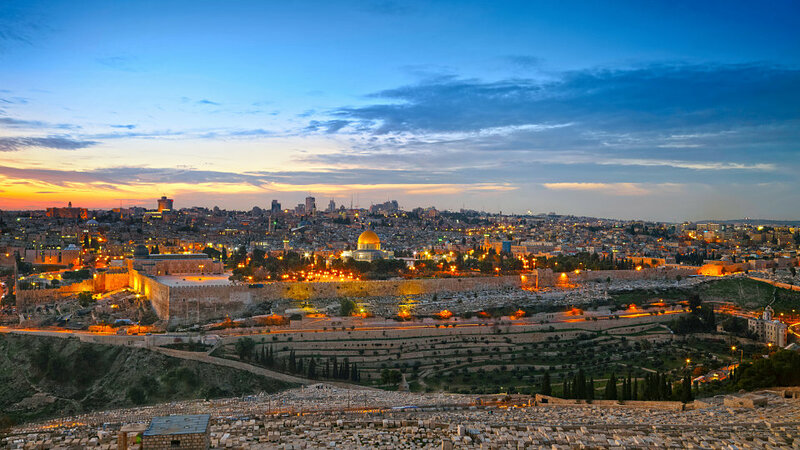 Stand atop the Mount of Olives as Jesus did and enjoy a remarkable view of the "Golden City" of Jerusalem. Forty days after his resurrection, Jesus ascended into heaven from the Mount of Olives (Acts 1: 9-12). Pray in the Garden of Gethsemane (Matthew 26) among olive trees in the Kidron Valley across from the walls of Jerusalem. View the Pool of Bethesda where Jesus performed the Sabbath miracle (John 5: 1-18). Sing a hymn in the Church of St. Anne, known for its amazing acoustics. Visit Herod’s Antonia Fortress where Jesus was brought before Pontius Pilate (Luke 23: 1-11). 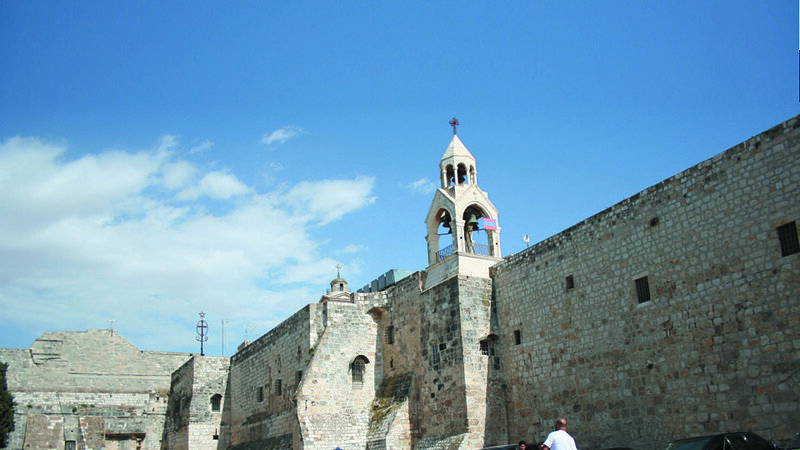 Walk the Via Dolorosa, “the Way of the Cross,” and stand in reverence at the Church of the Holy Sepulchre. Your final destination allows time for reflection at the Garden Tomb. Enjoy dinner tonight before transferring to the airport for your return flight.